If the Earth has taken a few trips around the sun since the last time you cleaned your golf bag, you aren’t going to hear any judgment from me. The truth is, it’s hard to find time to even play golf, let alone clean up afterward. That said, the game is known to get a little bit messy from time to time. If you one day you realize that your bag could use a clean, we can help! Read on to learn how to clean your golf bag! Supplies for this do it yourself are simple, cheap, and you almost definitely already have them lying around the house. Let’s take a look. Maybe you’re a purist that walks most of your rounds, and have therefore accumulated some dust and mud, or maybe you’ve just weathered a few loops in the rain. Hey, good for you. The wear and tear on your bag are badges of honor that signify your dedication to the game. Either way, I’m sure you don’t want to keep hauling around a dirty bag. What can you do about it? Step 1: Take the Clubs out. Your clubs are the heaviest component of your bag, so naturally taking them out is going to make the bag easier to work with. The warm water is going to loosen some of the dirt on the surface and do a lot of the preliminary work for you. In fact, if you take the time to wipe down your bag after every or most rounds you probably won’t even need to give it a more detailed wipe down ever. Just make sure that it is mild. Anything with bleach in it is going to discolor your bag, so chose the product you use carefully, and apply it conservatively to the spot in question with the same damp rag that you used earlier. After allowing the solution to settle for a while (around an hour will do fine) dampen another rag with warm water, and wipe it down again to clear off the detergent. After that, all that is left is to allow your bag some time to dry! The water and detergent will do well to both eliminate the grime, and take care of any unfortunate smells. Gosh, I hope that after writing this, I actually take the time to follow my own advice. Cleaning out the pockets in your bag can be something of a drag but it really is necessary, and almost no one does it regularly. Yeah, take out literally anything related to food or drink. Unless you just put it in there with the intention of having it for an ensuing round, it has already spent too much time in your bag. 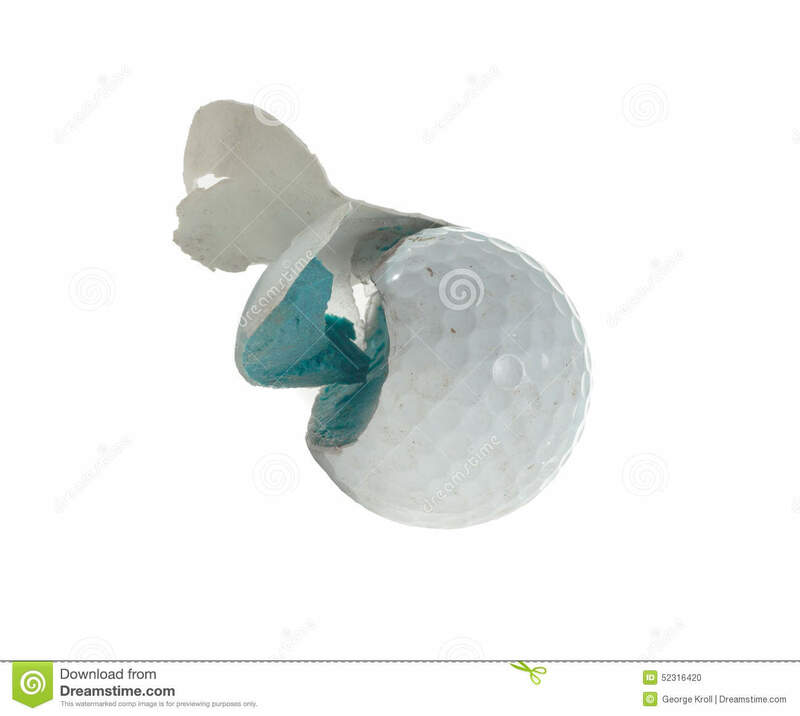 They seem to accumulate quickly so be sure to toss out the old ball sleeves and broken tees now to make room for the ones that will be ready to take their place after your next round. Step 3: And finally, the torn gloves and fractured balls. Contrary to what a lot of golfers seem to think, keeping a crusty old golf glove in their bag isn’t good luck, its gross. And if you’re like me, there is at least a sleeve’s worth of fractured balls taking up realesate in the front pocket of your bag. Maybe you picked them up in the first place because you thought it would be cool to see what the inside of a golf ball looked like, but now you know, so it’s time to move on. We took the clubs out to make it easier to clean the bag, but while they are spread around how about we take the time to wipe them down? Cleaning your golf clubs actually has more than just cosmetic benefits. Dirty clubs don’t perform as well as their clean counterparts. Don’t believe me? Just take the time to think about it and it will make sense. Spin comes from grooves. If there is dirt in your club’s grooves, you won’t generate all of the spin that you are entitled to. Spin is the thing that allows for your ball to land softly on the green. It also helps you control your trajectory, and flight pattern. Truly, every aspect of quality shot making comes down to spin, so take the time to make sure you’re getting the most of yours. If you ever watch the golf channel, you’ve probably seen a myriad of products designed for cleaning out the grooves on your clubs. The truth is that at best these products will yield alright results, while at worst they will actually damage the face of your club. Step 1: Rub the face down with a rag damp from warm water. The water will loosen the dirt and make it easier to ultimately eliminate altogether. Step 2: Gently rake the fine point of a golf tee over the grooves of each of your clubs. Ideally, this will help scrape out all the dirt and grime that you loosened with the water. Step 3: Wipe the face down with another rag. Even though the grooves are clean now, there is still going to be gunk all over the face. Take a cloth to it one last time to eliminate all the dirt you just loosened, and have your clubs looking good as new! I’ve always found that you are better off with a little bit of warm water, and a golf tee with a fine point. The water will help to loosen the dirt, while the tee will allow you to scoop it out with ease. Well, what do you think? Did you enjoy the guide? I know that cleaning of any sort is always a drag but I have always found that once I actually make the decision to give my bag the once over, the process isn’t actually as unpleasant as it at first seemed. As an enthusiast of the game I really do love my equipment so spending the time to make it look good really isn’t all that bad. At the end of the day whether or not you chose to wipe down your gear will be up to you. If you do decide to do a little bit of spring cleaning, you won’t regret. Do yourself a favor: spare yourself the pains of your bags funky smell, lighten the load by throwing away unnecessary trash, and increase your club’s performance by giving them a thorough clean. Golf is hard enough as it is, so you will want every edge that you can get.